This study follows similar studies done by us on Chenin blanc and Pinotage. The aim of this study was therefore to determine the effect eight different non-Saccharomyces yeast strains had on MLF and Chardonnay flavour. At the start of alcoholic fermentation, a large number of non-Saccharomyces species may be naturally present in the grape must, but the final stage of fermentation is usually dominated by alcohol-tolerant Saccharomyces cerevisiae strains.1,5 Non-Saccharomyces yeasts have different oenological characteristics to S. cerevisiae and they have been shown to enhance aroma and improve complexity of wines.5,6 During alcoholic fermentation, both Saccharomyces and non-Saccharomyces yeasts deplete the nutrients found in wine. These deficiencies, combined with toxic metabolites produced by the yeasts, can inhibit the growth of LAB.1,7,8 Despite considerable research, MLF remains a difficult process to initiate and control.9 The interaction between non-Saccharomyces yeasts and LAB is another factor that needs investigation. 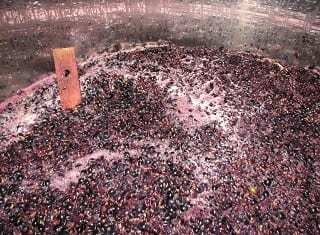 Eight non-Saccharomyces yeast strains (one Candida zemplinina, two Lachancea thermotolerans, one Metschnikowia pulcherrima, one Hanseniaspora uvarum and three Torulaspora delbrueckii) were used in mixed fermentations with one S. cerevisiae wine strain. Yeast strains were commercially available cultures or were obtained from the ARC Infruitec-Nietvoorbij microorganism culture collection. Yeast treatments without malolactic fermentation (MLF) and in combination with simultaneous MLF were investigated. A commercial lactic acid bacterium culture was used to induce simultaneous MLF. In total 18 treatments were evaluated in triplicate, and the Chardonnay wines produced with S. cerevisiae with or without MLF, served as the reference treatments. A standardised small-scale winemaking protocol was followed at an ambient temperature of 15°C. After completion of MLF, wines were bottled and subjected to descriptive sensory evaluations four months later. All the Chardonnay wines fermented to dryness within 14 days. None of the treatments produced excessive volatile acidity levels, but wines having undergone MLF contained slightly higher levels. Ethanol levels were lower (0.1 to 0.7% v/v) in the wines produced with non-Saccharomyces yeasts in combination with S. cerevisiae than in wines fermented with S. cerevisiae only. With one exception, all the treatments completed simultaneous MLF successfully and in most cases in less than 18 days. The exception was the wine produced with the non-commercial L. thermotolerans strain that took 54 days to complete MLF. It was clear that this yeast strain had a negative interaction with the selected MLF culture. Sensory analyses of the non-Saccharomyces yeast wines showed differences in the flavour profiles. 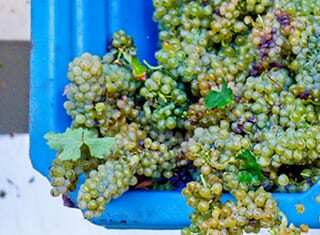 In Chardonnay wines not having undergone MLF, the “aroma intensity” was judged to be more prominent in wines produced with H. uvarum, the non-commercial L. thermotolerans and one of the South African T. delbrueckii isolates, than in the other yeast treatments. Wines produced with the aforementioned T. delbrueckii isolate also scored highest for overall quality. 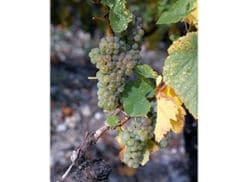 The T. delbrueckii isolate also produced wines with more flavour and better overall quality than the commercial strain. Wines produced with M. pulcherrima scored second highest for overall quality. Wines produced with the commercial L. thermotolerans strain scored the highest “tropical fruit” aroma. Chardonnay wines that underwent MLF had more “caramel” aroma than wines not having undergone MLF, and in most cases, improved overall quality. However, the T. delbrueckii isolate that scored highest for overall quality in wines that did not undergo MLF was negatively affected by simultaneous MLF, resulting in lower scores for overall quality due reduced acidity. Wines produced with non-Saccharomyces yeasts in combination with S. cerevisiae had lower alcohol levels than wines fermented with S. cerevisiae only. The various non-Saccharomyces yeast combinations produced wines with different flavour profiles and in combination with simultaneous MLF enhanced wine flavour and quality. Only one of the non-Saccharomyces yeast strains had a negative effect on the progression of MLF. Further investigation is required to understand the complexities of the interactions between different non-Saccharomyces yeasts, S. cerevisiae and LAB. The use of non-Saccharomyces yeast to improve wine complexity and quality is growing in popularity. In this study, Saccharomyces cerevisiae on its own and in combination with non-Saccharomyces yeasts, Candida zemplinina, Hanseniaspora uvarum, Lachancea thermotolerans, Metschnikowia pulcherrima and Torulaspora delbrueckii were used for small-scale Chardonnay wine production. These yeast treatments without malolactic fermentation (MLF) or in combination with simultaneous MLF were compared to determine the effect that no MLF and simultaneous MLF had on wine flavour. The wines produced with the non-Saccharomyces yeast had lower alcohol levels than the wines produced with S. cerevisiae only. The L. thermotolerans isolate had a negative impact on MLF, resulting in delays. The different non-Saccharomyces yeast strains yielded wines with different flavour profiles. A South African T. delbrueckii isolate produced wines with more flavour and better overall quality than the commercial strain. However, when this strain was used in combination with simultaneous MLF, it resulted in wines with reduced quality. 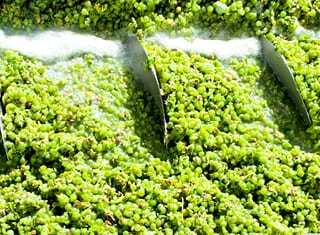 Overall, the use of non-Saccharomyces yeasts with or without simultaneous MLF enhanced flavour and in most cases improved Chardonnay quality as well. The authors wish to thank Winetech and the ARC for financial support, the Post-harvest and Wine Technology Division at ARC Infruitec-Nietvoorbij for the use of their facilities, as well as the Microbiology team for technical assistance. Ribéreau-Gayon, P., Dubourdieu, D., Donèche, B. & Lonvaud, A. eds., 2006. Handbook of Enology. The Microbiology of Wine and Vinifications (Vol. 1). John Wiley & Sons, England. Fleet, G.H., 2003. Yeast interactions and wine flavour. International Journal of Food Microbiology 86, 11 – 22. Bartowsky, E.J., Costello, P.J. & Chambers, P.J., 2015. Emerging trends in the application of malolactic fermentation. Australian Journal of Grape Wine Research 21(S1), 663 – 669. Jolly, N.P., Valera, C. & Pretorius, I.S., 2014. Not your ordinary yeast: Non-Saccharomyces yeasts in wine production uncovered. FEMS Yeast Research 14, 215 – 237. Ciani, M. & Comitini, F., 2011. Non-Saccharomyces wine yeasts have a promising role in biotechnological approaches to winemaking. Annals of Microbiology 61, 25 – 32. Costello, P.J., Henschke, P.A. & Markides, A.J., 2003. Standardised methodology for testing malolactic bacteria and wine yeast compatibility. Australian Journal of Grape and Wine Research 9, 127 – 137. Alexandre, H., Costello, P.J., Remize, F., Guzzo, J. & Guilloux-Benatier, M., 2004. Saccharomyces cerevisiae-Oenococcus oeni interactions in wine: Current knowledge and perspectives. International Journal of Food Microbiology 93, 141 – 154. Krieger, S. & Arnink, K., 2003. Malolactic fermentation: A review of recent research on timing of inoculation and possible yeast-bacteria combinations. Proceedings of the 32nd annual New York Wine Industry Workshop, June 2003, New York. pp. 60 – 73. – For more information, contact Heinrich du Plessis at dplessishe@arc.agric.za.